The Cermetek XE2422H is a complete 2400 bps modem in a miniature surface-mount module. It permits the designer to easily incorporate dial-up communications into set top box, security, vending, or point-of-sale applications. The XE2422H is a complete modem not just a modem chip. Connections to the micro-controller serial port and to the telephone line are all that is required to design-in the XE2422H. As a complete modem, Cermetek includes transferable FCC Part 68 Registration. Eliminating the need for Cermetek customers to under go FCC Part 68 testing. The XE2422H provides the lowest total cost of ownership. As a complete modem, it eliminates modem design and certification costs. It reduces assembly costs by replacing multiple components with a single, surface-mount module. And all of this is provide at a low per unit cost of less than twenty dollars in volume.  Serial data rates to 115,200 bps.  Shared Line Features prevent interference with voice communications on an extension telephone. The telephone company places a DC “ Battery” voltage across Tip and Ring on public switched telephone lines. The XE2422H operates regardless of the polarity of this voltage. The “ Battery” voltage drives up to 120 milliampere of DC loop current. UL60950 requires minimum creepage and clearances distances between the Tip and Ring traces and all other circuits. Clearance is the shortest distance between conductive circuits; creepage is the distance between conductive points along the surface. /DCD is an active low output from the modem that indicates the presence of a valid carrier signal. The SE2 register controls /DCD in the XE2422H. The default state is for /DCD to be disabled ATSE2=04 enables /DCD. /DTR is an active low input to the modem. The operation of /DTR is controlled by register SE2 and is normally disabled. When enabled, the modem will exit data mode and enter command mode if /DTR is removed while the modem is on-line. In Pulse and FSK Alarm modes raising /DTR is the only was to disconnect the data link. The /RI signal reports on the presence of an incoming ring signal. When a ring occurs across Tip and Ring, the /RI output goes low and toggles with the cadence of the ring signal. /RI is controlled by register S0D bit 6. The default condition is for /RI to be disabled. TXD provides the path for transmitted data and modem commands to be passed from the host controller to the modem. A logic high on TXD represents a “Mark” condition and a logic low represents a “Space” condition. RXD provides the path for received data and modem responses to be sent from the modem to the host controller. A logic high on RXD represents a “Mark” condition and a logic low represents a “Space” condition. /RESET is an active low input which initiates a modem hardware reset. /CTS is an active low output from the modem. The modem asserts /CTS to indicate that it can accept data from the terminal equipment on TXD. /INT provides an active low hardware interrupt signal from the XE2422H. The operation of this interrupt pin is programmable using registers SE2 and S08. /INT can be programmed to indicate Loss of Carrier, Wake-on-Ring, Loss of Loop Current, or Shared Line Activity. Once triggered the /INT line remains active until cleared by the AT:I command. The XE2422H is subject to damage if overexposed to heat during solder reflow operations. Following the soldering instructions below will ensure that the process of soldering the module to the board does not damage the modem. 1 Capacitors, C1 and C2, may be required for EMI filtering in your system. Without these components you may experience unintended radiation when the telephone cable is attached. C1 and C2 are high-voltage capacitors. We recommend the Johanson Dielectrics 502S47N102KV6T. This 1000 pfd, 3000 volt capacitor will direct the high frequency harmonics to the system ground. 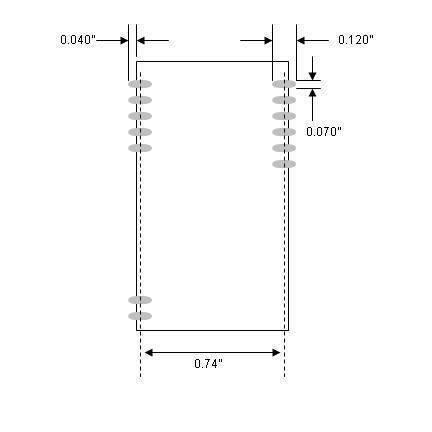 These capacitors must be rated at a minimum of 1500 volts to maintain the isolation required by FCC Part 68 Rules. The following design notes are intended to assist the developer in achieving maximum utility from the XE2422H modem module. The XE2422H includes the ability to monitor telephone line conditions before, after and during calls. This allows the XE2422H to avoid conflicts with other equipment connected to the telephone line. There are two modes of operation for the XE2422H Shared Line Features; Connect Detect and Handset Interrupt. The XE2422H register SDB monitors the voltage level on the telephone line when the modem is on-hook. The XE2422H checks the value of register SDB before attempting to go off-hook to avoid interrupting a call in progress. The nominal value for loop voltage on the telephone line is typically 48 volts. A reduced voltage level indicates that the line is either disconnected from the modem or is currently in use. Register SDB is an 8 bit register. It stores the loop voltage as a 2’s complement number with each bit representing 1 volt. The Most Significant Bit represents the polarity of the loop voltage. Handset Interrupt permits the modem to yield the telephone line when other equipment connected to the telephone line goes off-hook. This prevents the modem from blocking outgoing emergency calls when the line is shared as in a residential application. 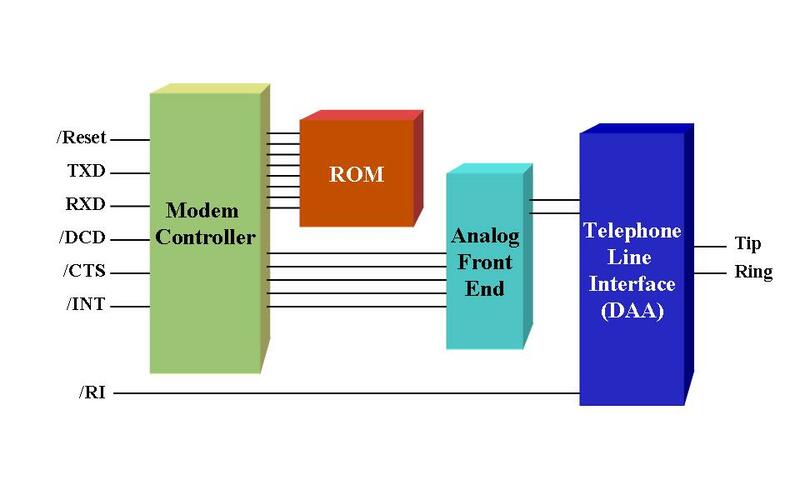 Handset Interrupt is accomplished by monitoring the loop current through the modem while the modem is off-hook. The loop current will drop when another piece of equipment goes off-hook on the same telephone line. The XE2422H constantly monitors and stores the loop current value in Register SF3 in 1.1 milliamp increments. The value of SF3 is regularly updated. The value of SF3 is compared to the Handset Interrupt threshold in register S12. If the value of SF3 is lower than the value of S12 by at least the amount of the Handset Interrupt Differential Current Threshold, S11, then the XE2422H assumes the equipment on an extension telephone has gone off-hook. The modem then issues the Handset Interrupt response “i” and if so configured issues an Interrupt to the systems host controller. The host controller determines if the call should be terminated to yield the telephone line to the extension. The XE2422H uses a simplified "AT" command set for configuration and control. This section describes the AT command format and lists the AT commands, registers and result codes. XE2422H "AT" commands have three operational modes; command mode, alarm mode and data mode. The Data Rate for the XE2422H is set by Register SE0. Data Mode: The XE2422H enters data mode after it connects to a remote modem and issues the appropriate result code. In the data mode the modem sends all data presented on Transmit Data (TXD) to the remote modem and puts data from the remote modem onto Received Data (RXD). When the modem exits data mode, it issues a "NO CARRIER" result code. Command Mode: The XE2422H enters command mode on power-up, reset, a lost connection, or receipt of the escape code. In command mode the modem accepts commands from the host on transmit data. Appropriate result codes are returned on RXD. Command lines issued to the modem follow a strict format. Each command line begins with the prefix AT. All commands except the “z” command must be entered in upper case characters. The command line is a string of commands between the AT prefix and the carriage return which terminates the command. The command buffer stores the command line and executes it upon receipt of a carriage return. Commands will be executed in the sequence they appear in the command line. Result Codes - The modem issues a result code after each command line. Result codes may be sent as single characters or single characters followed by a carriage return. The XE2422H supports a unique set of commands to establish alarm industry connections. Both Pulse messaging and FSK formats are supported. The AT!1 command initiates Pulse messaging and AT!2 initiates FSK messaging. The ATD command must precede either AT! command to begin the Alarm transaction. In Alarm mode, /DTR must be removed to disconnect the modem link. /DTR is activated by setting register SE2 bits 4 and 5. Pulse Mode: In Pulse Mode messages are passed using DTMF tones. The receiving station acknowledges receipt of the message by transmitting the “Kissoff” tone. A sample transaction is shown below. Disconnect is accomplished by raising /DTR. FSK Mode: In FSK Mode messages are passed on a 300 bps, half-duplex carrier signal. The X1, X2, and X3 commands switch the modem between monitoring the line for acknowledgments (X1), transmitting messages (X2), and receiving messages (X3). As in the pulse mode disconnect is only possible by pulling the /DTR signal high. SR=n - Write value “n” into register “R”. The values of both “n” and “R” are hexadecimal. !1<message> - Switch to Pulse Mode: This command must follow the dialing command in the same command string. !2<message> - Switch to FSK Mode: This command must follow the dialing command in the same command string. This command allows the modem to establish a 300 bps half-duplex FSK signal. X1 - FSK Signal Search: Turns off the modem transmitter and monitors the line for an acknowledgment. X2 - Return On-line as Transmitter: Places the modem in the transmit mode during FSK half-duplex operation. X3: - Return on-line as Receiver: Places the modem in the receive mode during FSK half-duplex operation. XE2422H register values are stored in Hex format. An asterisk “*” signifies the default setting of a bit-mapped register. S00 Answer on nth Ring: S00 sets the modem to automatically answer on the nth ring. Setting S00 to 0 disables automatic answer. S02 Wait for Dial Tone S02 determines how long the modem waits for Dial Tone before hanging up. S03 Carrier Off Disconnect Delay: S03 determines how long carrier must be lost before modem disconnect. S04 DTMF Duration and Spacing: S04 sets duration and spacing of DTMF dialing tones. S05 Duration Off-Hook during Pulse Dialing: S05 defines how long the hookswitch is active between dialing pulses. S07 Modem Protocol Selection: S07 sets the protocol and speed of the modem connection. S0F Escape Character: S0F defines the character to be used in the escape sequence to move from data mode to command mode. Values of 0 to 127 select valid ASCII characters. 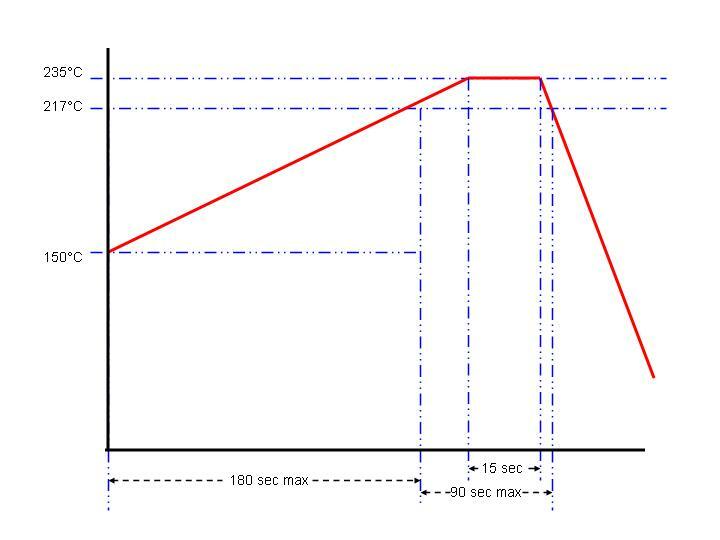 S10 Escape Code Guard Timer: S10 defines the duration of the guard timer surrounding the escape sequence. The guard time is the time preceding and following the escape sequence during which any character received by the modem will abort the escape sequence. S11 Handset Interrupt Differential Current Threshold: S11 sets the differential loop current threshold for the XE2422H handset Interrupt detection algorithm. If loop current falls by the value of S11 below the value of S12, Handset Interrupt is activated. S12 Handset Interrupt Current Threshold: S12 sets the loop current threshold for the XE2422H Handset Interrupt detection algorithm. If loop current falls by the value of S11 below the value of S12, Handset Interrupt is activated. S29 Handset Interrupt Blocking Time: S29 provides a set duration for blocking the Handset Interrupt feature to avoid false detections. This timer is activated by S82. S37 Carrier Detect Recovery Time: S37 determines how long after being lost the data carrier signal must be detected before the modem recognizes it as being recovered. S39 Carrier Detect Response Time: S39 determines how long the modem will wait for the initial data carrier signal to be detected before aborting a call..
SDB Line Voltage Status: SDB is a read only register that stores the value of the loop voltage in two’s compliment form. The most significant bit, Bit 7, indicates the polarity of the voltage on Tip and Ring. SF3 Loop Current Status: SF3 is a read only register that stores the current value of the loop current. The XE2422H complies with Part 68 of the FCC Rules and Regulations. With each device shipped, there is a label which contains the FCC Registration Number. The FCC Registration number incorporates the Model Number, Manufacturer Indentifier, Product Type identifier and Ringer Equivalence Number (REN) for this product. You must, upon request, provide this information to your telephone company. The format of the FCC Registration Number is shown below. The mounting of this device in the final assembly must be made in such a manner as to preserve the high voltage protection between the TIP/RING Connection and the rest of the system. Typically, this may be accomplished by maintaining a minimum spacing 100 mils between the TIP/RING Traces to the RJ-11C Jack and low voltage portion of the system. No additional circuitry may be attached between TIP/RING and the telephone line connection, unless specifically allowed in the rules. The REN is useful to determine the quantity of devices you may connect to a telephone line and still have all of these devices ring when the number is called. In most, but not all areas, the sum of the RENs of all devices connected to one line should not exceed five (5.0). To be certain of the number of devices you may connect to the line, as determined by the REN, you should contact the local telephone company to determine the maximum REN for you calling area. If your system causes harm to the telephone network, the telephone company may discontinue service temporarily. If possible, they will notify you in advance. If advance notification is not practical, you will be notified as soon as possible. Your telephone company may make changes in its facilities, equipment, operations or procedures that could affect proper functioning of your equipment. If they do, you will be notified in advance to give you an opportunity to maintain uninterrupted telephone service. If you experience trouble with this device, please contact CERMETEK at (408) 945-6640 for information on obtaining service or repairs. The telephone company may ask you to disconnect this device from the network until the problem has been corrected or until you are sure that the device is not malfunctioning. Cermetek assumes no responsibility for the use of any circuitry other than circuitry embodied in a Cermetek product. No other circuits, patents, or licenses are implied. While Cermetek Microelectronics, Inc. has made every effort to ensure that the information presented here is accurate, Cermetek will not be liable for any damages arising from errors or omission of fact. Cermetek reserves the right to modify specifications and/or prices without notice. Product mentioned herein are used for identification purposes only and may be trademarks and/or registered trademarks of their respective companies.